Managing a small fleet can be a breeze, regardless of what kinds of management systems you’re using. However, your perfect management system, style, and tools might not work as well once your fleet starts growing. Success and growth is a good thing for your fleet—but if you’re not ready to handle more data, more fleet vehicles, more employees, and more problems, you might struggle to perform your managerial duties at a high level. In this blog, the fleet management software team at Skypatrol will give you a few tools that can help you be a better fleet manager, no matter how large (or small) your fleet might be. Incorporate some of these fleet management tools into your arsenal to become more organized, efficient, and productive! Fleet managers are human beings—they have plenty of things to worry about and remember in their everyday lives. Add in family engagements, social gatherings, bills to pay, and other personal matters to the constant barrage of things that need to be done as a fleet manager, and it can difficult to remember it all! In order to avoid slip-ups of the memory, it’s important to immortalize important tasks by getting them out of your brain and onto a piece of paper—or even better, onto a digital calendar that provides you with automatic reminders. This can help you “automate” your schedule—instead of freaking out over whether you sent in a truck for an oil change, you’ll get a quick and easy reminder on your desktop or mobile device well before you need to send the truck to the shop. Using a digital calendar can help you remember all sorts of tasks—whether it’s an oil change, a team meeting, or just to “talk to Jim the driver.” By decluttering your brain and keeping your important dates and times in order, your brain will have much more time and energy to focus on what matters—managing and growing your fleet business. Large fleets have dozens of vehicles and dozens of drivers to man them—so if you’re going to keep your vehicles on the road instead of in the shop, you need to communicate clearly with your drivers. Fleet drivers are obviously trained to keep an eye out for vehicle problems, and if they encounter an issue while they’re out on the job, it’s crucial that they relay that information to you as quickly as possible. To stay organized and solve problems efficiently, make sure there’s a strict protocol for how drivers communicate with you. It doesn’t’ matter if it’s through a daily phone call, an email, or a text message—drivers should keep you informed on the state of their vehicles and their deliveries/pickups, and have an easy and transparent way to relay issues to you. Whatever method you choose, clear communication will make your drivers feel cared for and will ensure that you avoid costly vehicle repairs or fleet mishaps along the way! Fleet managers deal with a ton of data on a daily basis—and that data needs to be accessible and organized for fleet managers to be successful. Fortunately, there are plenty of ways to organize and interact with data digitally, whether it’s vehicle inventory information, financial records, or maintenance records. Using digital data management systems can help you avoid a mess of paperwork, and it can also be a huge asset for identifying statistical patterns that can help you make your business more profitable and efficient. Organizing data by vehicle is a great way to keep your workflow simple—you can log deliveries/pickups, maintenance needed/performed, and even keep track of fuel usage and other vehicle performance metrics. With all of this data in reach, you’ll be able to scale up your business without any hassle or organizational problems! 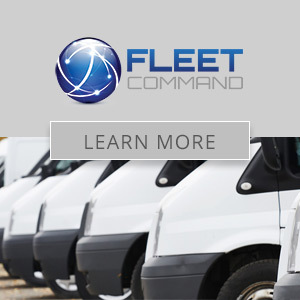 There’s no need to build your own fleet management system—Fleet Command has everything you need to organize and run your fleet with confidence! Use Fleet Command to handle all important data for your fleet, like maintenance logs, performance metrics, and routes, to name a few—and combine it with GPS tracking solutions to make sure your drivers are taking the safest and most efficient routes possible. Don’t wait—improve your fleet operations, and schedule a demo of Fleet Command today!